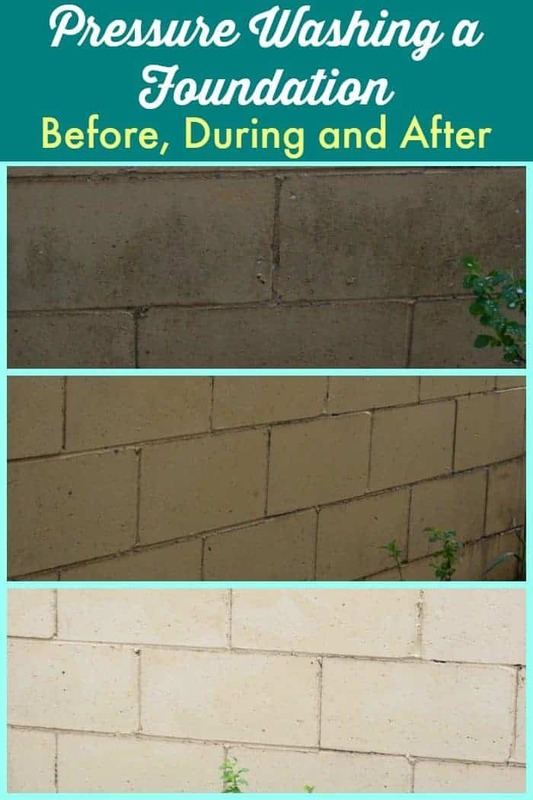 I have owned my home for quite some time (I was a yungun’ when I first bought it) and it may be hard to believe but I have NEVER used a pressure washer to clean the exterior or any items outside. I’ve moaned and groaned about how tired and worn and moldy (eeeee gads) things were looking and I scrubbed, scrubbed, scrubbed like I normally do to little or no avail. I was honestly so discouraged that I was thinking the only cure would be NEW as in new siding, a new swing, new sidewalks, etc. I didn’t think there was any way everything could look fresh again. Well….I was so wrong. Once again Zep comes to my rescue when it comes to getting my home up to par. 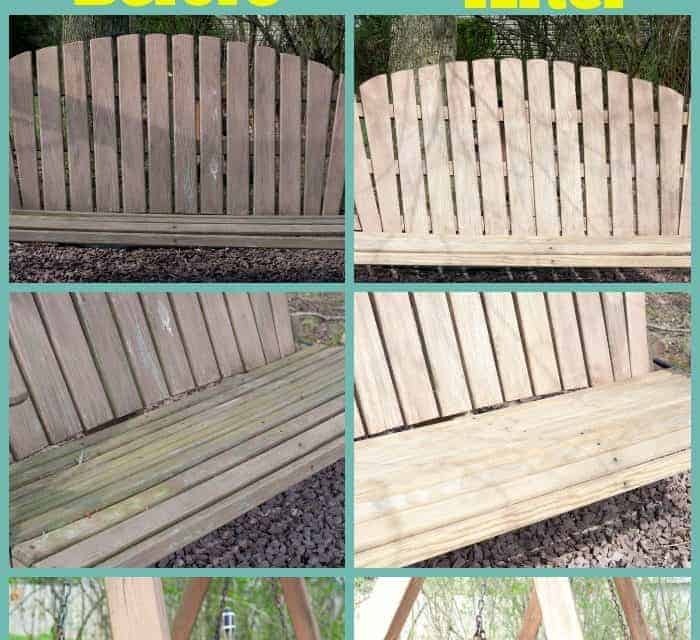 Last weekend when we had about a 3 hour break in the weather (it is cold and miserable here…again), I grabbed a bottle of Zep All-In-1 Premium Pressure Washing Concentrate, took my new Ryobi power washer from Home Depot out of the box and got ready to tackle my house and some outside items. I read the directions, sported some protective eye wear and got busy….I did wear those oh so fashionable goggles ~ stuff can fly you know so be careful! I started with the side of my house. 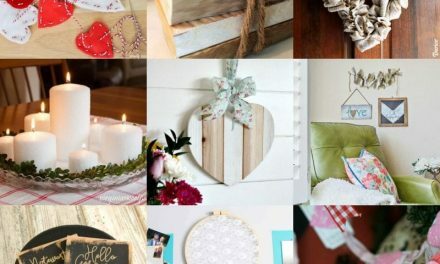 Do you see that awful mold? 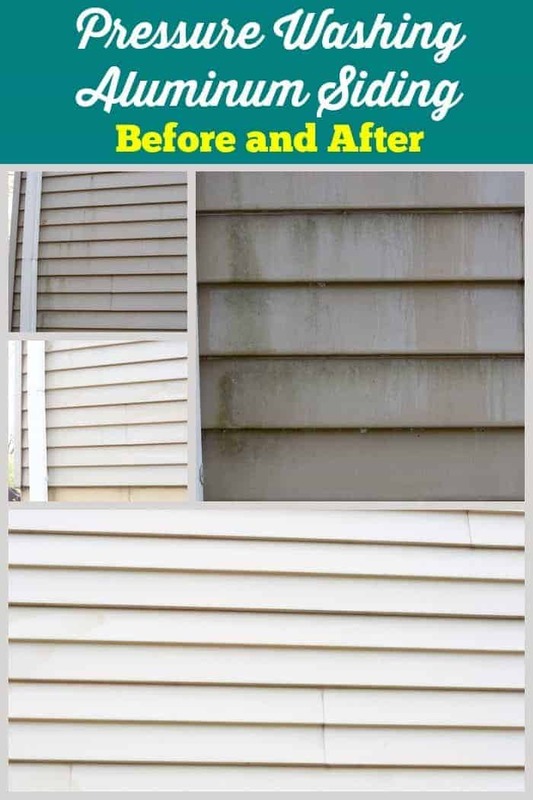 I love the shade my trees provide but then when I see mold on the siding and the foundation I think again but I was able to get both absolutely sparkling clean so the trees will stay (yay!!!!). I can now hold off on replacing the siding and I can finally paint the foundation. 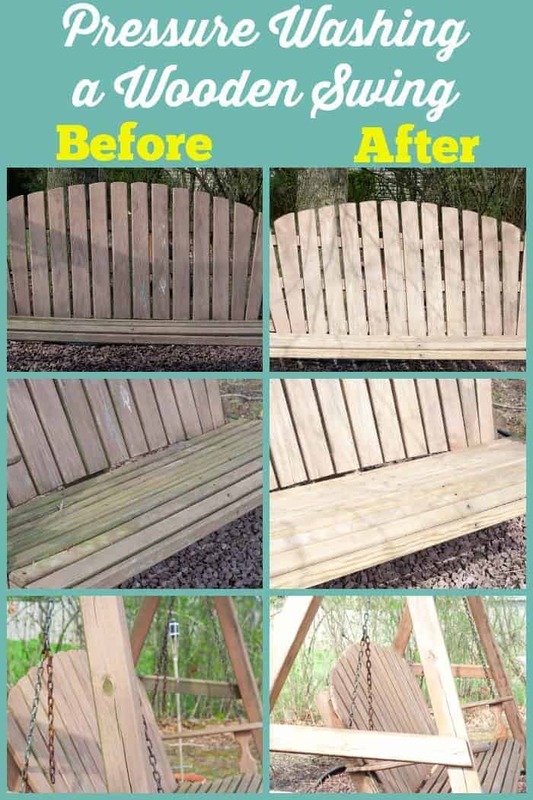 I have been putting it off for years but now I have a clean surface to work with and that is going to make a huge difference in the overall look and curb appeal of my home. Next up, my swing. This swing is one of my favorite places during the summer but the last few years have been rough for my family……lots of things going on that took priority over outside time. Staining the swing as I had always done in the past and putting it away for the winter didn’t happen. The poor swing has been left outside through the winter for the past few years and when I finally looked at it the other day I felt awful. I had no idea where to start when it came to getting it back into shape but since I had the Zep All-In-1 and my pressure washer I thought I’d give it a try to see if I could revive it. When I was done I almost cried. I’m a little sappy like that but I used to spend time swinging with my kids when they were little on this beauty so it does have a place in my heart. The swing looks wonderful (I do need to get new chains, though) and I plan on staining it soon so it will be ready for use once again. The third item I had the chance to clean this go around was my old pool shed. 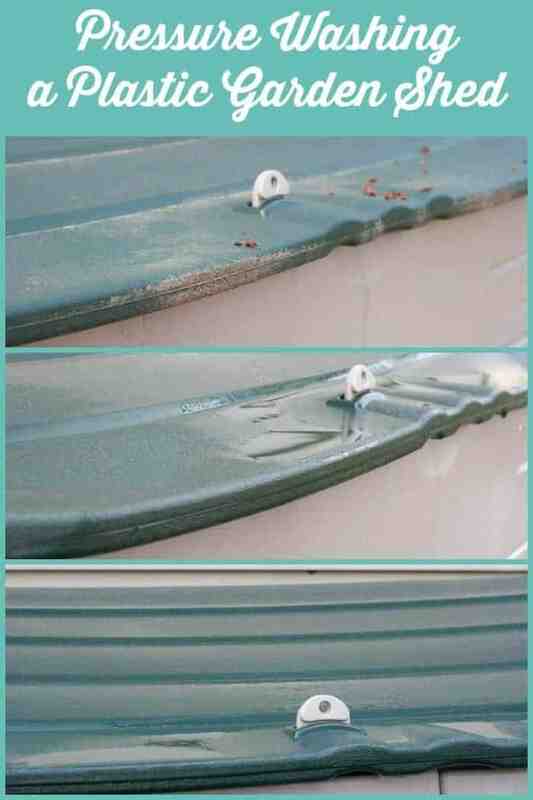 The pool is gone but the storage shed remains and it has this funky gunky moldy type thing on the lid. I have used bleach in the past to clean it but it never got rid of it all. I powered up the pressure washer, sprayed it with the Zep All-In-1 Premium Pressure Washing Concentrate, let it soak for 10 minutes and rinsed….tah dah!!!!! It looks like new. When I get another break in the weather, oh the plans I have for my two new best buds! The front deck, the sidewalks and the driveway are just waiting to look new again. 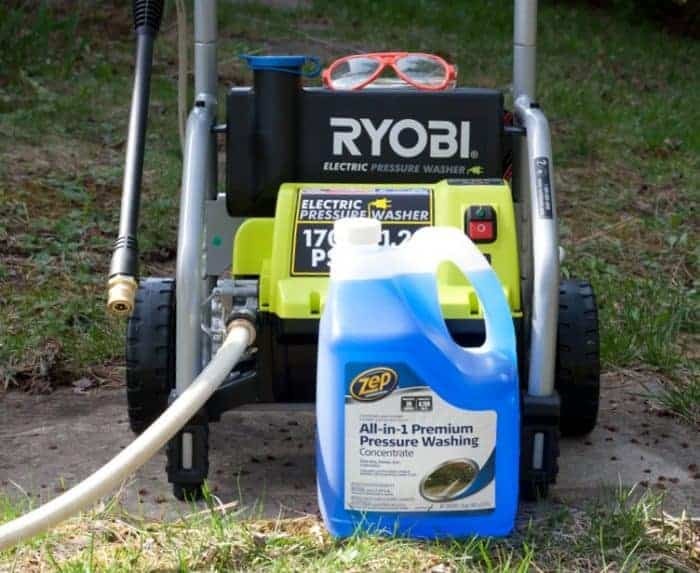 What items around your house would you use the Zep All-In-1 Premium Pressure Washing Concentrate to clean? Thanks for stopping by ~ it means so much to me!